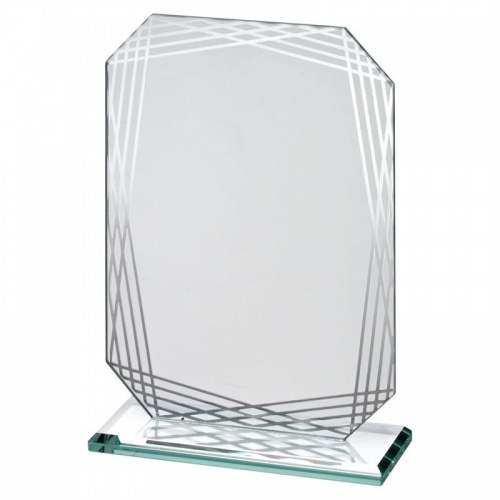 These eye-catching flat glass plaques are made in jade glass with distinctive silver lines decoration. 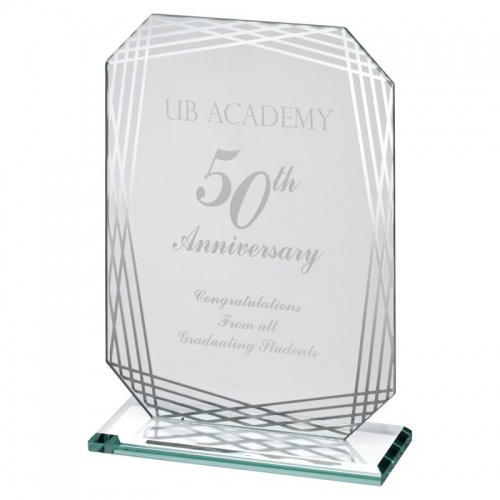 They provide a large area for engraving and are offered here with text and/or logo engraving options. Stands 6.75in / 171mm tall.